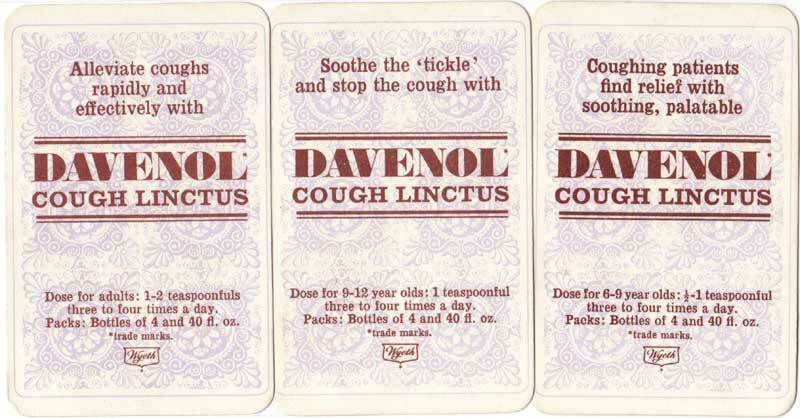 Wyeth Pharmaceuticals promoted their Davenol Cough Linctus in a novel way. They distributed large Happy Families cards (125 x 185 mm) to pharmacists and possibly doctors. 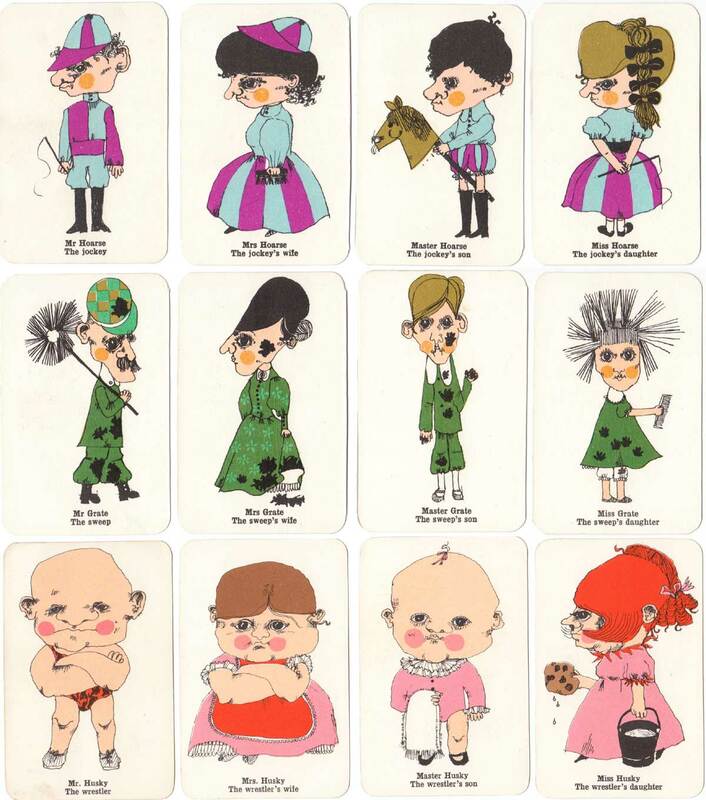 They began with one family (the Hacks) and with each bottle of cough syrup they gave away a smaller die-cut strip of the full Hack family. 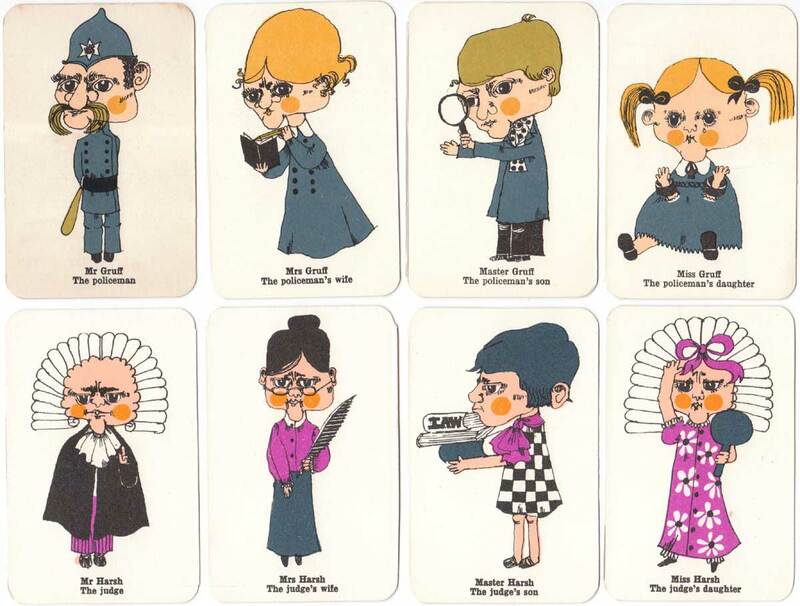 Above: large cards of the Hack family were distributed to pharmacists and possibly doctors. Date of first issue currently unknown, probably 1960s. Above: a smaller uncut strip of the full Hack Family was included with the bottle of cough syrup. The backs of the cards had publicity declarations with the emphasis on the tangerine flavour of the medicine. Above: the backs of the large Davenol Cough Linctus cards. 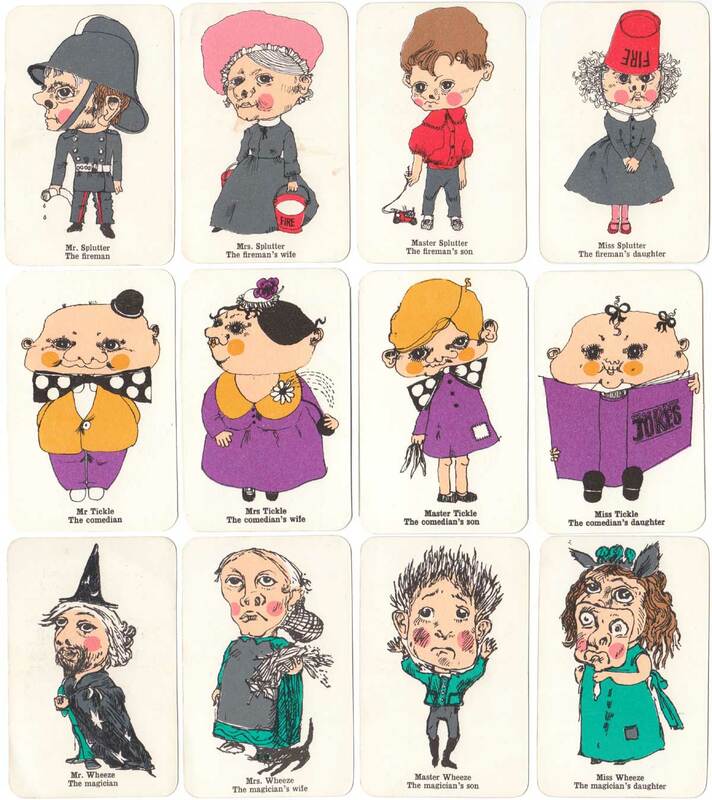 The earliest drawings were inspired by Jaques Happy Families characters. The promotion must have been popular because they went on further with the idea. Next came the Gasp Family, followed by Bark, Croak, Gruff, Harsh, Hoarse, Grate, Husky, Rasp, Sore, Splutter, Tickle and Wheeze. There are 56 cards in all but sets of only 32 cards are also found. 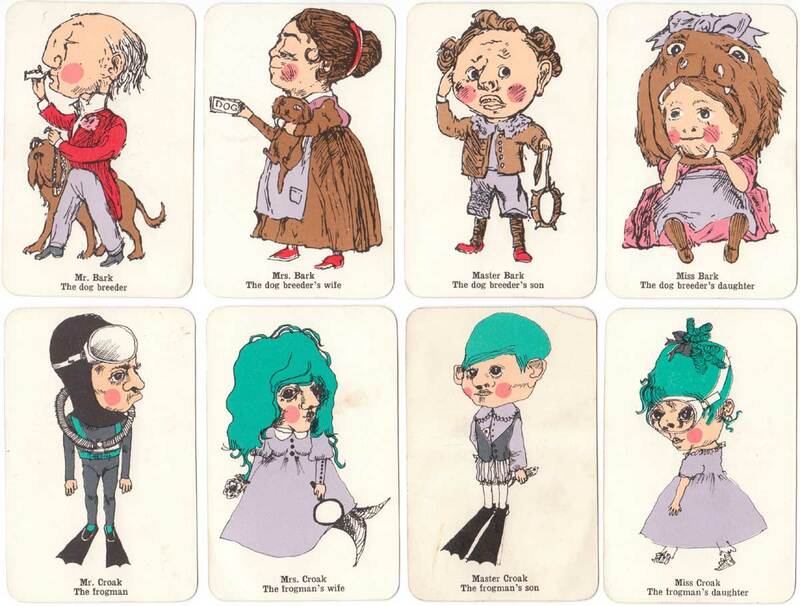 Above: large cards of the Gasp family also inspired by Jaques Happy Families characters. They may have stopped doing the large cards after the first few sets because they must have been quite expensive and all their pharmacist customers may have had one given to them already, or else run out of shelf space! 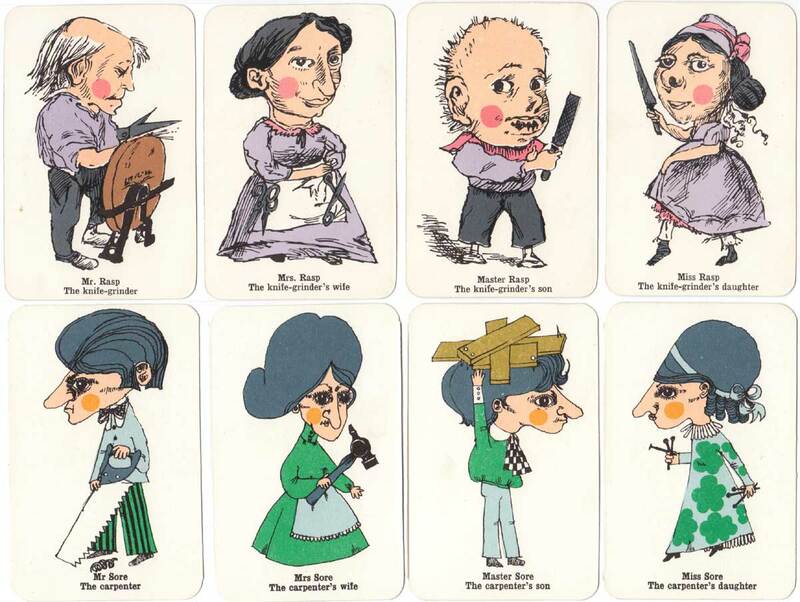 Above: small sized cards of the Bark and Croak families were included with the bottle of cough syrup. At this point a different artist was involved who chose not to base the characters on Jaques.